Soon, a host of people involved in the event began calling on the planner to cancel the speaker and bar the exhibitor. The planner was asked to “do something about it.” The planner shared much of their distaste for the opinions of the speaker and the current political situation, and he spent several days agonizing over how to respond. Finally, he decided to stay the course. The speaker was disagreeable, but not threatening. The hotels are a legitimate business. He went against the wishes of those he agreed with to defend those he didn’t agree with. End result: the conference moved forward as scheduled. The planner took some hits, but in the end successfully stood up for a certain level of tolerance. Regardless of your political views, if you are a decision maker in the world of talent or any aspect of business, this type of issue is likely to arise at some point in the future. It’s neither my intention nor my place in this blog to promote political views or preach certain ways to act in delicate situations. 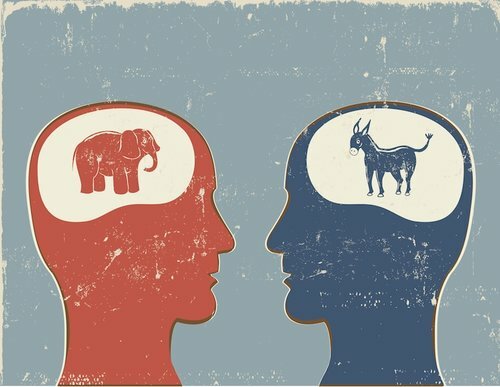 But from a talent and business strategy perspective, this story does reveal some insight about the conflicts we can expect to encounter more and more often in today’s politically polarized world. More than one thing can be true at once. The person attending your conference, joining your team, listening to your presentation in the boardroom or interviewing for your job opening can advocate things that you think are terrible! That same person can be the right person for the job, the right leader to support your initiative or the speaker to make your event a success. A conscious effort at political “blindness” is needed. In today's world, putting politics aside no longer comes naturally to me, or to many people I know. That’s no surprise. The echo chambers of constant news and social media opinions don’t help. Our own views are important. They don’t just reflect red or blue values, they reflect what each of us believes to be right and wrong. At the same time, putting views aside in order to make a fair and effective business decision is critical. When and how do you turn a blind eye to someone’s political leanings? I’m no expert at this. It doesn’t happen by itself. It takes practice. Moving Forward: Where are YOUR Boundaries? While I love to work with companies as a “trusted advisor,” this whole topic of political conflict is one area of business where I have more questions than answers. How do you know when someone’s view crosses a line? How do you react? On the other hand, how do you check yourself to make sure you’re not overreacting to perfectly reasonable differences? I don’t have a formula for working through the issues. Have you encountered these issues in the workplace? How has it worked out? Let me know by posting a comment. I’m interested in learning.